Set out on a luxury safari in South Africa where you’ll explore the bush and enjoy a series of game drives. 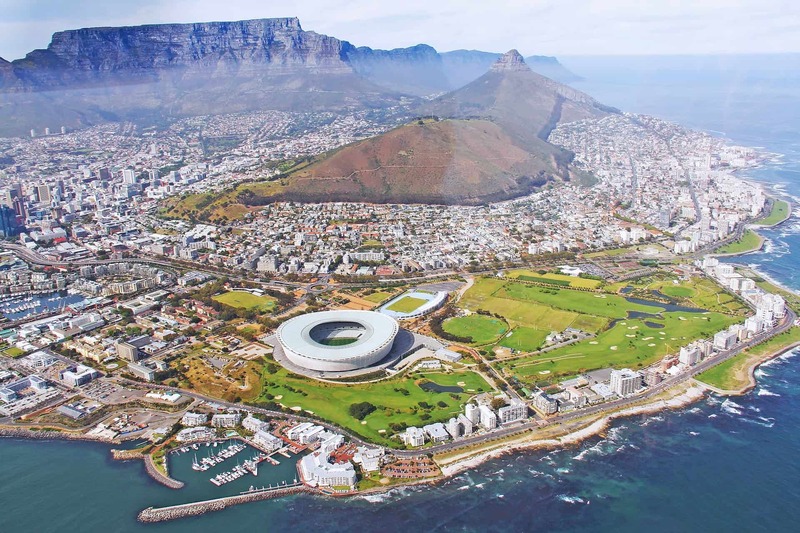 You’ll also spend four days in Cape Town walking its bustling streets and tasting its finest wines. This gay group trip will conclude at Victoria Falls in Zimbabwe. When you arrive at the airport you’ll be transferred to your luxury hotel. Day at leisure. in the evening you’ll transfer to Green Point for dinner and entertainment at Gold Restaurant. You’ll be staying in Mount Nelson which is one of the best hotels in Africa. Enjoy a cable car ride to the summit of Table Mountain. 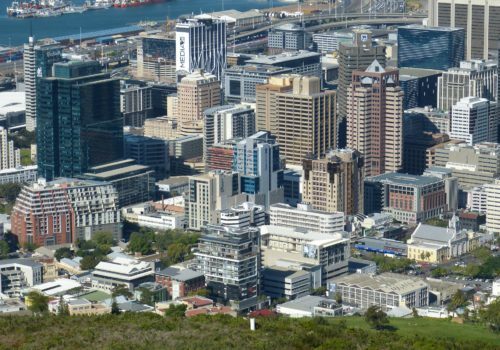 You’ll also get some time to explore the city, including a trip to Robben Island where Nelson Mandela was imprisoned for 18 years. Dinner will be served by the hotel on the waterfront at the Sevruga Restaurant. This morning you’ll set out on a full guided tour of Cape Town which will cover the Cape Of Good Hope and Boulders Beach Simons Town. At Boulders Beach we’ll visit the home of an endangered penguin colony. Lunch will be served at the Black Marlin Restuarant. In the evening you’ll be free to explore the city’s excellent nightlife. If you like wine today is the day for you. You’ll be heading for a tour of the Cape Winelands in the chief wine producing regions of Franschhoek and Stellenbosch. Lunch will be served – you’ll need something to soak up all the booze. In the evening we’ll be doing it in style with a 3-course meal at a private Wine Estate. Today you’ll transfer to Cape Town Airport and fly to Nelspruit which is near Kruger National Park. You’ll be staying in luxury accommodation at the Silvan Safari Lodge. All meals, snacks, a laundry service and some drinks will be included. You can also join optional walking safaris and game drives. After check-in, you can unwind by the pool or in your tented chalet. After coffee we’ll head out on a game drive. We’ll then return to the lodge for breakfast, followed by a leisurely afternoon. In the evening it’ll be time for another game drive and then dinner. In the morning we’ll head for an early walk in the bush as the sun rises. Day at leisure. In the evening enjoy a sunset game drive followed by dinner. Enjoy another day of game drives, wining, dining and stunning landscapes. In the morning you’ll transfer to Kruger Mpumalanga International Airport where you’ll fly direct to Livingstone. Our representative will meet you and transfer you to your hotel in Zimbabwe. In the afternoon you’ll experience a helicopter ride over the falls. Wake up bright and early for a walking tour of Victorias Falls. We’ll have lunch at the Lookout Cafe with stunning views of Victoria Falls Gorge. Enjoy an afternoon at leisure. In the evening we’ll dine at the Boma with live entertainment. In the morning you’ll be transferred to Livingston Airport in Zambia where you’ll fly to Johannesburg for your return flight.